Photo by laRuthThere are 30 real estate boutiques lined up for establishment across various cities in India as per Better Option Propmart’s plan. These boutiques will be titled as ‘BOP studio’ wherein consultants will sit and provide free guidance and counseling to every walk in customer. This studio will provide a proper look and feel of how a real estate boutique look like including the ambience of a high-end store, centrally air-conditioned and live presentations of various upcoming as well as existing projects will be illustrated by the trained professionals according to the need of the people. 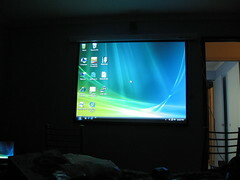 There will be a customer friendly atmosphere where people can easily discuss all their questions with experts and that too while enjoying a cup of coffee, lounge space, and viewing the different projects on large screen projectors. Forbes magazine for 2010 made a list on ‘Asia’s Best Under A Billion’ in which the only real estate company from India to get through is Delhi-based Ashiana Housing Ltd.
From India, 39 companies were listed out of which Ashiana Housing Ltd which is the only Indian company representing realty sector. Across all over the Asia, only 5 real estate companies represented the real estate sector and Ashiana Housing Ltd is one of them. In all, 200 companies were listed by the magazine out of which 39 were Indian companies while 71 were China and Hong Kong based. However, the number of Indian companies has increased from 20 in last year’s list. This list has been prepared after considering around 13,000 publicly listed Asia-Pacific companies. These are the companies that have revenues under $1 billion. Navin Fluorine International has been awarded two stars out of five by CRISIL Equities, the Credit rating agency. The rating implies that the company`s fundamentals are moderate relative to other listed equity securities in India. This rating has been given to Navin due to its long-standing presence as one of the four main fluorine players in India. Our grade is moderated by the stagnation in Navin`s main lines of business refrigerants and bulk fluorides. The production of Navin`s flagship refrigerant HCFC 22 is being phased out under the Montreal Protocol due to its ozone-depleting nature. Also, at the same point of time, sales of low-margin products, i.e. bulk fluorides, are facing tough competition from China. 1. Significant non-operating assets in the form of cash. 2. Balances with group companies. 4. Investments in group companies through equity, and preference shares. Since the home buying continues at its full pace even after an impending rate hike by Reserve Bank of India due to which there have been a continuous rise in property prices, the realty industry now is completely free from tensions, i.e, has shrugged off all its worries. Due to the still high food prices, many economists expect a fifth round of policy rate hikes towards the end of this month. Most probably, RBI will unveil its first-ever mid-quarter policy review on September 16. However, the developers are still cool and confident for the residential sales even after a possibility of rate hikes by RBI are almost next week. The chairman of CREDAI, Confederation of Real Estate Developers’ Associations of India, Mr. Kumar Gera say that since the buyers fear of price rise in future, therefore they will not stop investing right now. These days an investor does not see the price if he can afford it, he added. Therefore, this price hike won’t make much difference to the market. A workshop by arranged by CREDAI, The Confederation of Real Estate Developers’ Association of India on September 7 at Ocean Pearl, Mangalore. The district in-charge minister Krishna J Palemar inaugurated the workshop and said that people have already disobeyed law in the past and have undertaken illegal construction due to which city lacks in proper parking areas. Also, this has made the possibility of widening roads impossible. He added that no new Transferable Development Right (TDR) will be accepted now. The situation is that even if the officials shatter some walls, sufficient parking space would not be available. Thus, separate land should be allotted for parking with addition 30 feet for road widening. The left out land can then be provided to building owners as per the new Comprehensive Development Plan (CDP). V Ponnuraj, the deputy commissioner gave a presentation on Introduction and analysis of various options of TDR and DR. Dharmaraj, an architect and MCC consultant then came up with the process and Terms and conditions. In present scenario, scope of small real estate investors in India is low as compared to the institutional investors. Although they can own many property, but bank would not fund more than two loans. However, this restriction doesn’t imply that they cannot invest beyond that from their personal accruements. They always have the option to go for investing in rent-generating assets, which can bring decent returns, if not good, if they have been bought wisely. Even after all these limitations for small investors, property investment is an all time investment since it belongs to some of the belongings which always tend to retain their intrinsic value. A high-end flat was leased for a rental value of Rs 1.2 lakh per month. 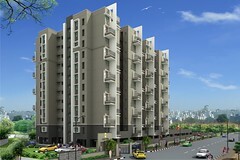 This apartment is built in the peripheral location of Gurgaon on an area of 4,200 sq ft. The apartment has been taken on lease by a big corporate for their senior executive. The average rental value for these flats has been consistent throughout the last quarter and falls in the range of Rs 1 to 1.75 lakh. Since Gurgaon has now become one of the key commercial office hubs in the NCR, it has acquired a remarkable demand for rental residences. With the growth of Gurgaon, metro connectivity which is soon going to hit Gurgaon seems like cherry on the cake. This is likely the reason behind people getting attracted from other areas of NCR to own their homes in Gurgaon. A survey was conducted by RICS Global Commercial Property called GCPS, according to which performance of real estate in emerging markets like South America and Asia is much higher than that in more developed countries. As per the survey, in quarter II, occupiers markets picked up, with increased lease demand as compared to first quarter as indicated by countries. However, the rents continue falling in thirty countries out of 46 countries covered under the survey. On the other hand, in 8 out of 10 countries, there is a continuous increase in available spaces. Also, the expectations from the third quarter 2010 are much higher. India ranked 6th highest amongst 46 countries on the basis of commercial rents while in case of lettings, it ranked at 13th position. India was able to secure 10th position in field of capital values but still as compared to other countries, investment activity in India was relatively lower. This indicates that investment returns are better in other countries.